Kundalini Yoga is known as the Yoga for Awareness. It brings awareness to every level of your being to allow you to shine your highest truth. Kundalini is the untapped energy coiled at the base of the spine. All the exercises and meditations done during a class are used to awaken this energy and raise it through the chakras to experience total oneness and awareness. Come deepen your understanding of this ancient technology. 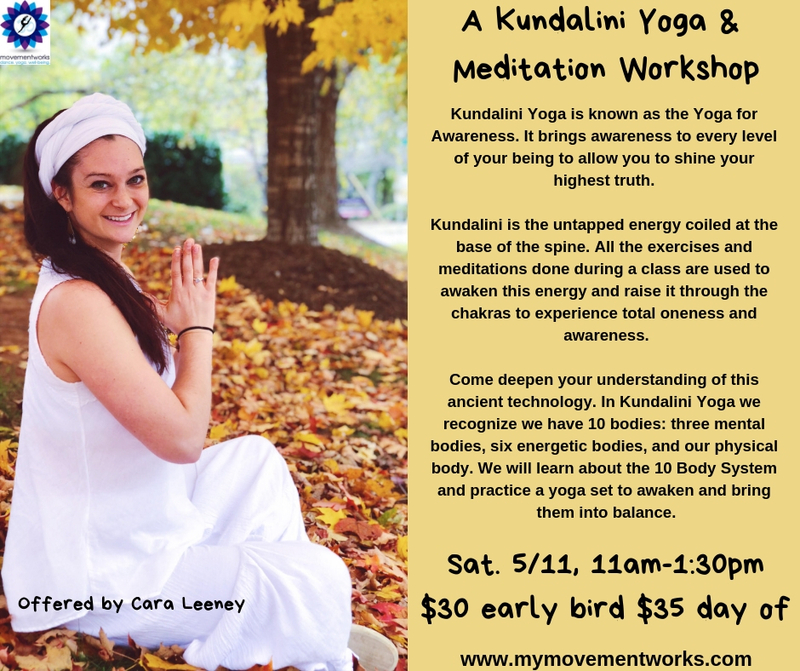 In Kundalini Yoga we recognize we have 10 bodies: three mental bodies, six energetic bodies, and our physical body. We will learn about the 10 Body System and practice a yoga set to awaken and bring them into balance.